Ford said it will have more information to share about the Mondeo at a later date. Ford denied that it will import the Mondeo into Europe from China after ending production of the midsize car in Spain. Ford has told suppliers it plans to shift production of the Mondeo, and its North American sibling the Fusion, out of Spain and Mexico in 2020 and consolidate global production of the sedans in China, Reuters reported on Wednesday. Ford said in a statement: "We have no plans to export the next-generation Fusion/Mondeo from China to North America and Europe. 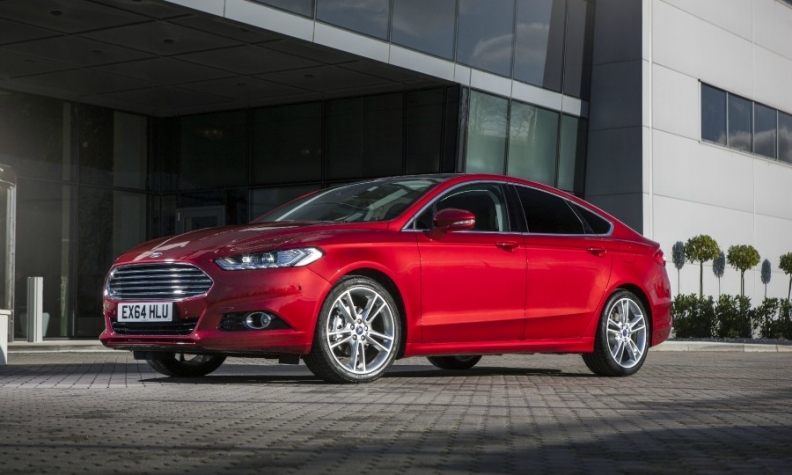 Fusion/Mondeo are an important part of the Ford car lineup. We will have more information to share about the next Fusion/Mondeo at a later date." Ford builds the Mondeo in Valencia, Spain, alongside the S-Max and Galaxy midsize minivans, the Kuga SUV and Tourneo Connect and Transit Connect commercial vans. Ford said last month it would invest more than 750 million euros ($887 million) in Valencia to produce a new generation Kuga. Ford CEO Jim Hackett has taken a series of steps to cut the automaker's production costs and shift the automaker's product lineup away from sedans toward SUVs and crossovers, especially in North America. Fusion sales in the U.S. are down 22 percent this year, while Mondeo sales in Europe are down 21 percent. Ford currently builds the Mondeo in China for that market as part of its joint venture with Changan Ford. The Fusion is built in Hermosillo, Mexico. It's unclear what vehicle would take the Fusion's place there. Ford also builds the Lincoln MKZ, which shares underpinnings with the Fusion, on the same assembly line. Ford last week revealed plans to build an electric crossover at its other Mexico plant, in Cuautitlan, where it currently makes the subcompact Fiesta. Ford said earlier this year that the North American Focus would be imported from China, instead of Mexico, saving about $500 million. The end of Focus production in Michigan became a thorny issue for Ford when President Donald Trump repeatedly attacked the plan to assemble it in Mexico during the 2016 presidential campaign.